What does the Feldenkrais Method® do? The Feldenkrais Method uses movement as a resource for learning how to achieve a pain free existence, better musical, artistic and athletic performance and recovery from trauma and neurological impairments. 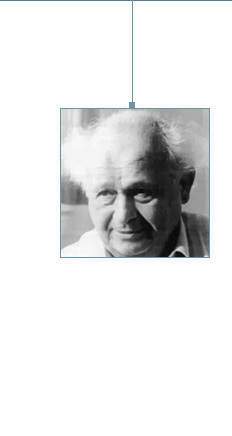 It was developed by physicist and judo master Dr. Moshe Feldenkrais. Through research and through the process of recovering from his own debilitating injuries, he found a way to utilize principles of human movement, development and learning to create new, more efficient patterns of self-use. • Awareness Through Movement® classes which consists of easy-to-do movement lessons. These movements address all aspects of human functioning and are of benefit to everyone. They build new skills with ease, using as a foundation what the students do well, without promoting the feeling of inadaquacy and without the exhausting struggle that comes from imposing on ourselves someone else’s idea of perfection. • Functional Integration® is a gentle, effective hands-on approach that addresses serious muscular-skeletal and neurological problems, chronic tension and pain, developmental delays and learning issues in children. It is personalized and improvised for each individual. To read two articles by a Princeton University professor about his experience with repetitive stress injury and the Feldenkrais Method please click here to go to the "links" section of the Contacts page. “Since beginning Awareness through Movement and Functional Integration lessons with Aliza, I am in a place of re-discovery regarding movement. As a career dancer & teacher, I am no longer feeling daily discomfort from the over-use of muscle groups, and I am more efficient with teaching movement.. I truly believe that whatever you are pursuing in life, Feldenkrais can help you achieve your goal in a clear & gentle way through internal and external awareness”.